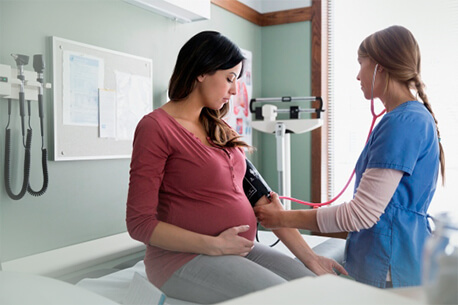 Four antenatal check-ups are recommended for every pregnant woman. It should be taken care that this is only a minimum requirement and more visits may be necessary, depending on the woman's condition and needs. The schedule suggested for antenatal visits is as follows. The first visit/registration timing- As soon as the pregnancy is suspected, the first visit or registration of a pregnant woman for ANC should take place. The first visit should take place within 12 weeks ideally. The Expected Date of Delivery should be calculated using menstrual history. 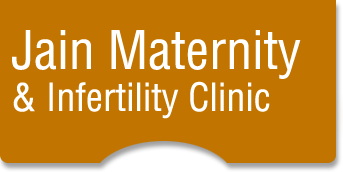 Obtain information about any Recurrent early abortion/ Post-abortion complications /Hypertension, pre-eclampsia or eclampsia / Ante-Partum Hemorrhage (APH) / Breech or transverse presentation / Obstructed labor, including dystocia / Perineal injuries/tears / Excessive bleeding after delivery / Puerperal sepsis during previous pregnancies. History of blood transfusions should be noted. Inspecting any other relevant abdominal findings. Administration of two doses of TT injection for prevention of maternal and neonatal tetanus (tetanus of the newborn). For the purpose of keeping a record, registration of pregnant woman and filling up of the Maternal and Child Protection Card and JSY card/below poverty line (BPL) certificates/necessary proofs or certificates should be done. The woman need to be informed about the dates of antenatal visits, schedule for TT injections and the Expected Date of Delivery. The place of delivery and the person who would conduct the delivery need to be identified. A referral facility and the mode of referral need to be identified.